The past couple years have seen Blossoms play live to sold-out venues and packed festival stages across the UK and Europe. Blossoms released their second album, Cool Like You, in April and it charted at No.4 in the UK album chart and has spawned the huge singles There’s a Reason Why (I Never Returned Your Calls), I Can’t Stand It and How Long Will This Last? 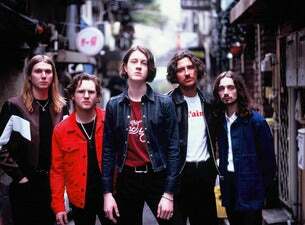 Blossoms recently sold out their entire December 2018 UK tour in one day, selling over 25,000 tickets in the process. And now they've announced a huge hometown show for June 2019 at Stockport County’s Edgeley Park Stadium with The Coral, Cabbage, The Blinders and Fuzzy Sun.